Please make sure you have listened to part one before listening to this one. It will just get all the conscious work in alignment for your unconscious mind to really absorb the learning’s and suggestions. Here is part one if you havent listened too it. In part two, it’s time for the Hypnosis/hypnotherapy section. Give yourself adequate time and space to fully relax and enjoy this podcast gift. Remember you are worthy, beautiful, unique and special in every way. 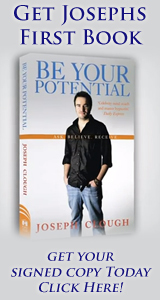 Why not invest further and get my first book Be Your Potential (even get it signed by me) right here (free worldwide shipping) and it contrains life changing audio!